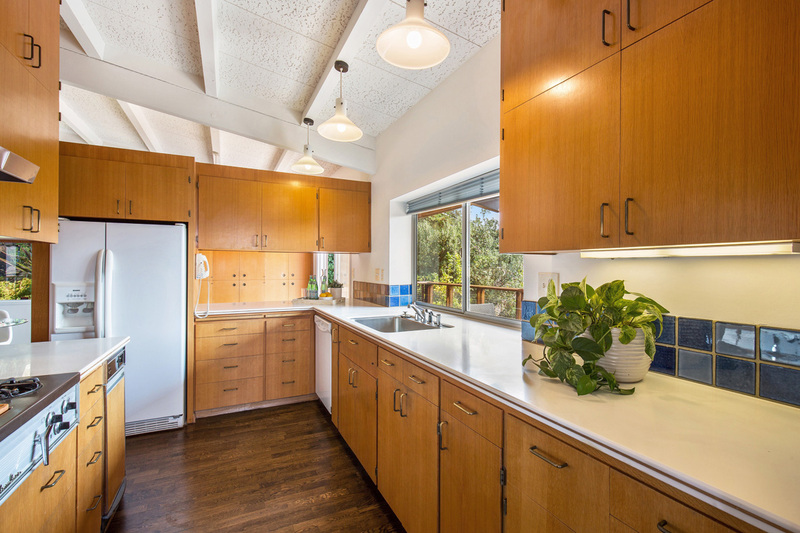 Certain California communities have well-established reputations for being havens of cool mid-century modern homes: Palm Springs, Palo Alto, Silver Lake…Montclair. Wait—Montclair? You mean near Pomona? Not quite. We're talking about the tony Montclair District of Oakland, whose reputation as an MCM haven is mostly just the way it feels this month for modernist home shoppers in the Bay Area. "This was just such a coincidence!" exclaims veteran Montclair realtor Nancy Moore. 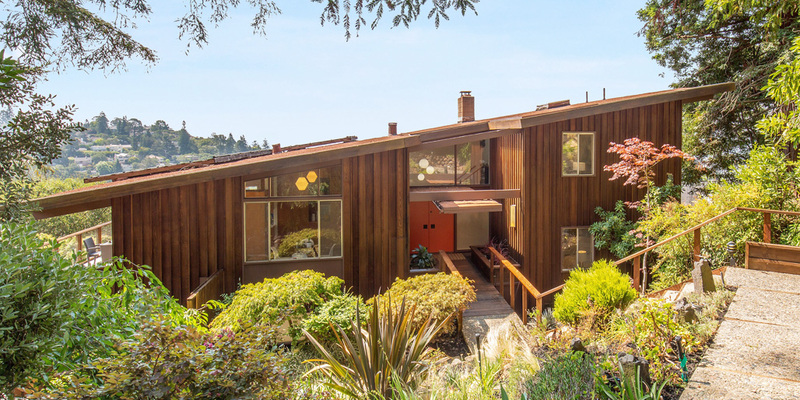 The realtor listed a beautiful MCM home on Oakland's Pershing Drive, built in 1963 and never available before, in early August for $1,395,000. 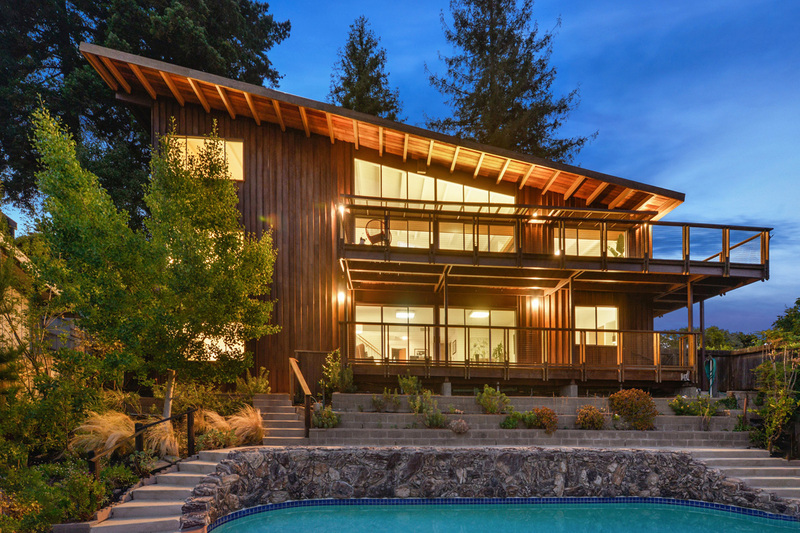 While the architect of this striking new listing, Norris Gaddis, is little known today other than his award-winning design of Oakland's Knowland Park Zoo, Moore also entered escrow this month on another Montclair MCM gem, at 2090 Arrowhead Drive, built by Mark Mills, the widely regarded protégé of Frank Lloyd Wright who reportedly also worked for Joe Eichler. "I don't know how to explain it. 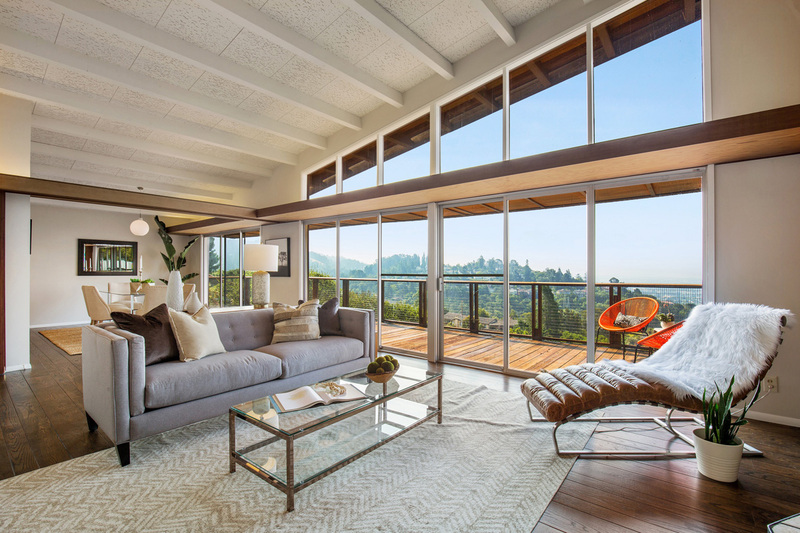 It's not like I was marketing mid-century modern," says Moore, noting that the conjunction of these two "spectacular, noteworthy" properties was a first in her 22-year career. "Just lucky I guess…I've been having a lot of fun marketing them." What she has to market at 455 Pershing is six beds, three baths on 3,367 square feet, located up a private road, just one mile from the cozy Montclair Village shopping district, which Moore noted as "a selling point." Still, it is the high-ceiling, open-floor plan and spectacular siting that she said makes "people just go, 'Wow!'" "When you walk into the house, there's just this drop-dead view…It has this feeling of vastness," she said describing the southwest-facing glass wall and wrap-around deck. Remarking on the inclusion of convenient features, such as a laundry chute and a rumpus room, she observed, "It's pretty unique, it's just so beautifully designed."